It happens all the time. 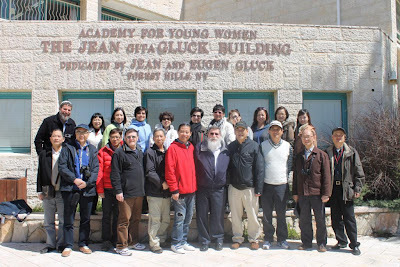 I bring tourists and visitors to Yesha (Judea and Samaria) also known as the West Bank, and they look upon the blossoming Jewish towns with their jaws wide open: “We didn’t know there are actual towns here. We thought they were all temporary dwellings just to make a provocation,” they say. And so too, Israeli paratrooper Yaniv Blumenfeld, 25, from Greater Tel Aviv recently wrote the following reflections after finishing IDF reserve duty in the region. 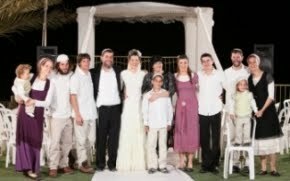 The article appeared in the Iyar 5772 edition of Yesha Shelanu. Last week, I returned from my month-long stint of reserve duty in Yesha (Judea and Samaria), also known as the West Bank. It was my first time back in the region since my regular service in my late teens. There is no doubt that the issues take on a different perspective after advancing five years into adulthood. I view the scenarios and situations with greater clarity and find myself reaching new conclusions. Forget everything you are told about Judea and Samaria: the roadblocks, ruling another people, oppression, apartheid. It’s simply not the case. I was confronted with a completely different reality, and here are my impressions. For starters, every person is free to choose what events shock and appall him, in accordance with his morals, values and world outlook. 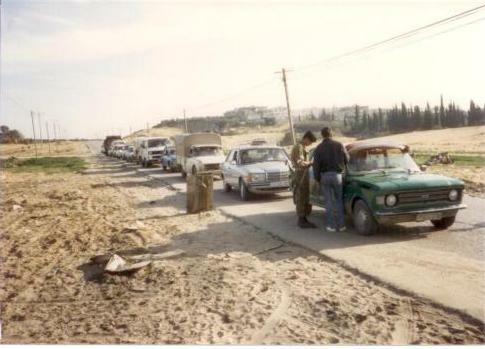 Some people view an IDF patrol stopping a Palestinian for a security check as a moral crime. They are outraged to the depths of their souls. I chose to be outraged by other sights. I was outraged to see that there are Israelis who conduct their routine lives in a shadow of a constant threat of being murdered. I was outraged to see that a Jewish village must be surrounded by a security fence to prevent its civilians from being slaughtered. 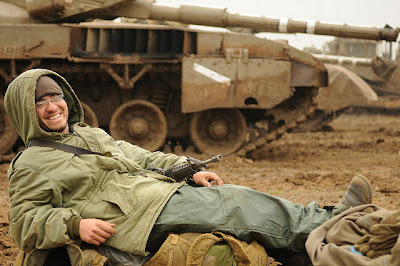 I was outraged when I suddenly realized that I have to lay in ambush in the mud outside of a Jewish town on Passover Eve, to ensure that the local Arabs won’t butcher their Jewish neighbors. It is known that Jewish festivals are prime time for Arab terrorist organizations to scalp a few Jews. I was outraged to see that Jews can’t take a stroll in the valley right below their homes, and that it is forbidden for them to visit the Arab towns surrounding them because they won’t make it out alive; their freedom of movement is limited; at certain hours, they can’t leave their town at all, and they are constantly under threat of being stoned, shot and publicly lynched. For years, I was lied to and told that the Jewish presence in Yesha is an obstacle to peace. All sorts of odd and twisted reasoning is offered to explain away the murderous terrorism. We are not told that Arabs butchered the Jewish community of Hevron in 1929, a full 38 years before the Israeli conquest of Judea and Samaria. We are not told that between 1949 and the Kadesh Operation of 1956, some 300 Jewish civilians were murdered by “Palestinian” terrorist operations. We are not told that the Palestine Liberation Organization was established in 1964, three years before the West Bank was conquered under the command of Chief of Staff Yitzhak Rabin, of blessed memory. Furthermore, each time we concede territory to the Palestinians, they use them to create terrorist infrastructures. The most recent example – Israel’s retreat from Gush Katif – demonstrates this in the most vivid way. The Palestinians don’t hate Israel because of an IDF soldier at a roadblock. That’s my opinion. They derive their hatred of Israel from the TV broadcasts of Hamas and the Palestinian Authority which compare Jews to apes and pigs who are to be slaughtered. They derive their hatred of Israel from the incitement in the mosques and schools, and from the pictures of martyrs which decorate every wall and plaza throughout all of Judea and Samaria. They nurture their motivation to hate from Palestinian cultural heroes like mass murderers Yasser Arafat and Marwan Barghouti. They are inspired by the fact that town plazas and soccer stadiums are named after terrorists. Years of incitement against and de-humanization of Israel has taken its toll on Arab society. Unfortunately, a clear and simple formula became very apparent: without an Israeli presence in Judea and Samaria, we would be witness to a mass slaughter of Jews by Arabs that would make the 1929 riots look like a child’s game. 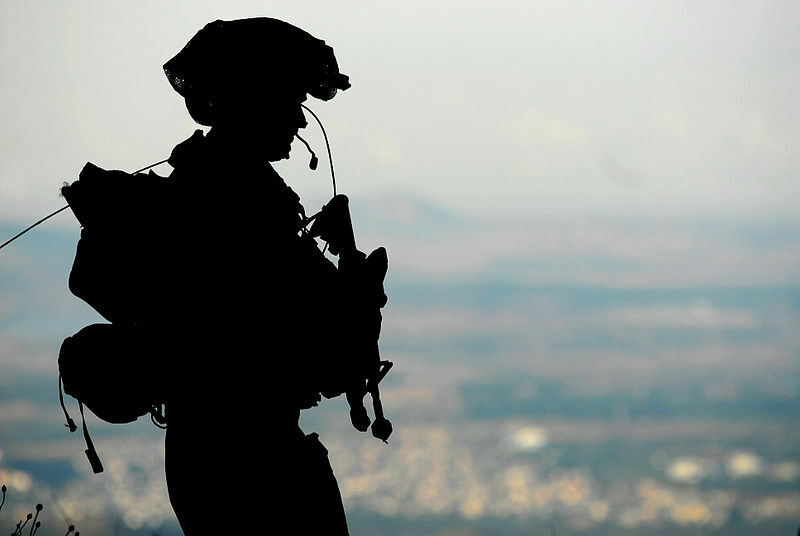 Undoubtedly, IDF soldiers serve in complex and difficult situations in Judea and Samaria. My friends and I, who were called up for reserve duty in the territories, didn’t come to see blood at all, or insult or trample the honor of the Palestinians. Quite to the contrary, all of us, regardless of political orientation, were educated on Zionist values, tolerance, and a yearning for peace. If we put aside for a moment the political differences, there is a feeling of pride to serve in Judea and Samaria. 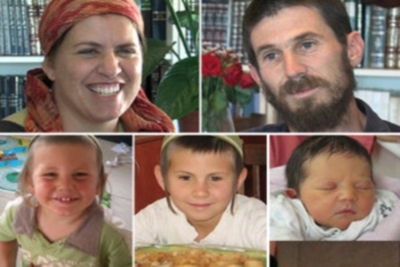 Because of my comrades and I, civilians in the region celebrated Passover without being murdered. I am proud that at my roadblock, we prevented an explosions belt and an Arab with a long knife from passing through. My unit prevented blocks and rocks from being hurled at Jewish motorists. In summary, I am proud to have fulfilled these duties, thereby preventing murder and harm to human beings. Don't forget to "Like" on Facebook.